Despite the backlash against hormone replacement therapy, the depletion of natural hormones in the female body continues to be a problem for women at middle age and beyond. Remedying the problem has proved difficult for women and doctors who are unaware of, or reluctant to prescribe, bioidential hormones those that match identically the hormones made naturally in the human body. 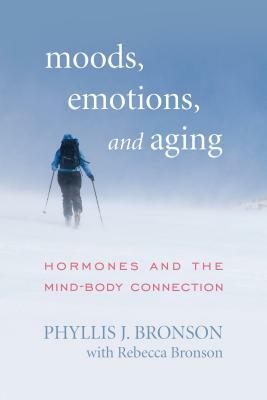 Moods, Emotions, and Aging: Hormones and the Mind Body Connection explains the vital link for women between hormones, mood, and wellness. It outlines the dramatic hormonal shifts that women undergo in the years before menopause, and presents an approach to combining bioidentical hormone therapy with nutrients to achieve mood balance during midlife and beyond. Phyllis Bronson explains the differences between synthetic and bioidentical hormones, and offers vignettes of women who have used bioidentical hormones to help them deal with the changes that accompany natural hormone loss. This is a groundbreaking book for general readers written by a scientist who is able to take the mystery and the hype out of the hormone controversy. It is intended to empower women, along with their doctors, to make better and more informed choices about their health and well-being as they approach a time in their lives when things can seem like they are spinning out of control. The link between hormones, mood, emotions, and overall wellbeing is a powerful one, and when women are aware of it, they can take steps to bring themselves into better balance physically and emotionally. Here, Bronson shows them how.